We have known Cathy Piller and Doug McCormack for a number of years, and through doing business with them, their opinions have become some which we really respect. The year we purchased Alaska, he was Cathy's pick of their bull pen, and he has proven to be a good addition to ours as well. 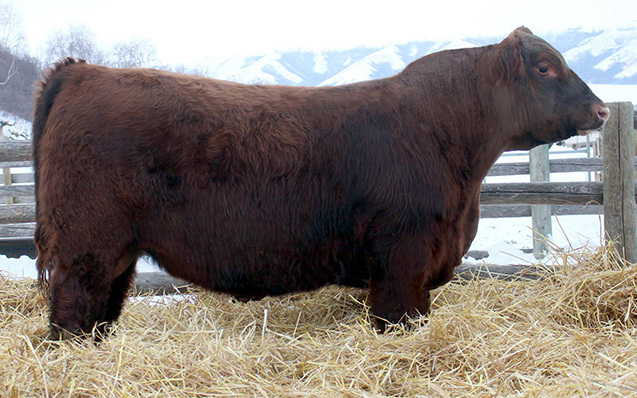 Alaska himself is a well balanced bull conformation wise, and packs a 'punch' maternally. He is a bull that we feel actually exceeds himself in his calf crop, and has thrown some of our nicest designed females in the purebred replacement pen the past two years. He also runs with commercials, and is one of our main sires in the commercial replacement pen. We run a number of Paternal sisters in the Red Angus herd, and we find the North 298W daughters to be amongst the strongest cows out on pasture. As they mature, they only get better.